Student visibility is increased with the Demonstration Mirror. This unit can be mounted wherever the demonstration is taking place (typically a mobile demonstration center) and angled to maximize visibility. Metal framed, polished plate glass mirror is adjustable at any angle from vertical to horizontal position. 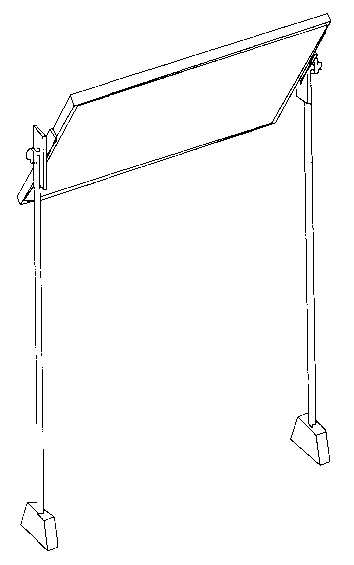 Support frame for table top mounting is powder-coated tubular steel.